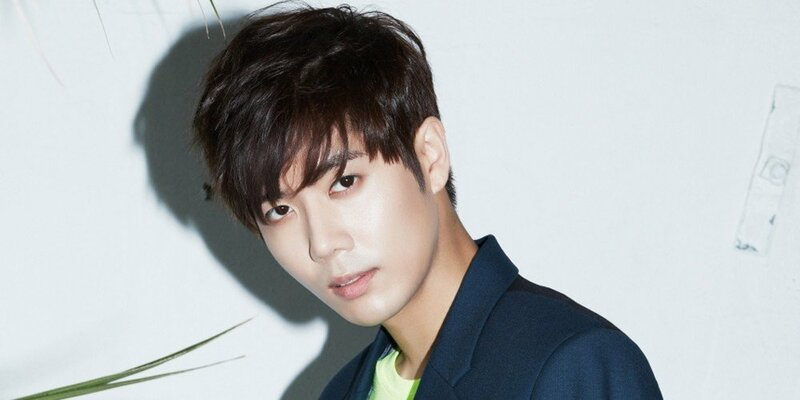 SS501's Kim Kyu Jong is wrapped up in dating rumors with a non-celebrity girlfriend. According to an exclusive report on April 20, Kim Kyu Jong was recently spotted on a date with a woman on Jeju island. The idol singer traveled to Jeju island for a web reality show, then went on dates with a woman who accompanied him on the trip after the filming portion concluded, said the report. However, since the report, Kim Kyu Jong's label CI ENT stepped up to deny the dating rumors. CI ENT stated, "Kim Kyu Jong only spent time with his manager, the program's scriptwriters and staff, his stylists, etc. during his filming" of the mobile reality show. The label stressed that Kim Kyu Jong's dating rumors with a non-celebrity woman are not true. Meanwhile, Kim Kyu Jong recently released his 1st full album 'Play in Nature'.